​Don't worry 'The Heads' has a wide range of options for filling that gap. There are cafes where you can relax and have a coffee, sip a glass of wine or enjoy a delicious meal. There are bakeries with food to go and there are pop up coffee stops where you can see fabulous art being sold while you rest your feet and take a break. Curried pumpkin and coconut soup. Creamy smoked fish and potato soup. Herb teas, English breakfast tea, plunger coffee. Whangarei Heads is a great place to stay. We have amazing beaches, cute cafes and for the more energetic we have stunning coastal walks with views to die for. The Heads has a wide range of accommodation with something to suit every pocket. 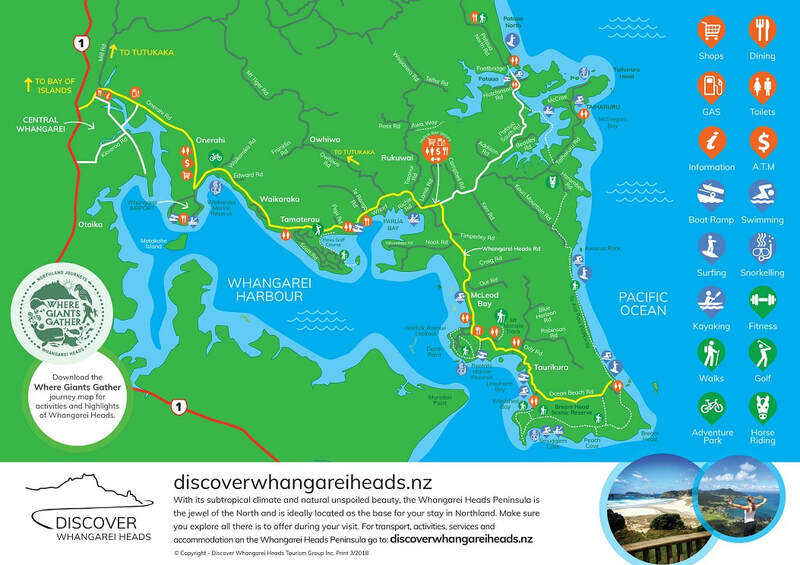 Check out 'Discover Whangarei Heads' or 'Whangarei Heads Visitors information' below for more on local B&B's and other facilities.